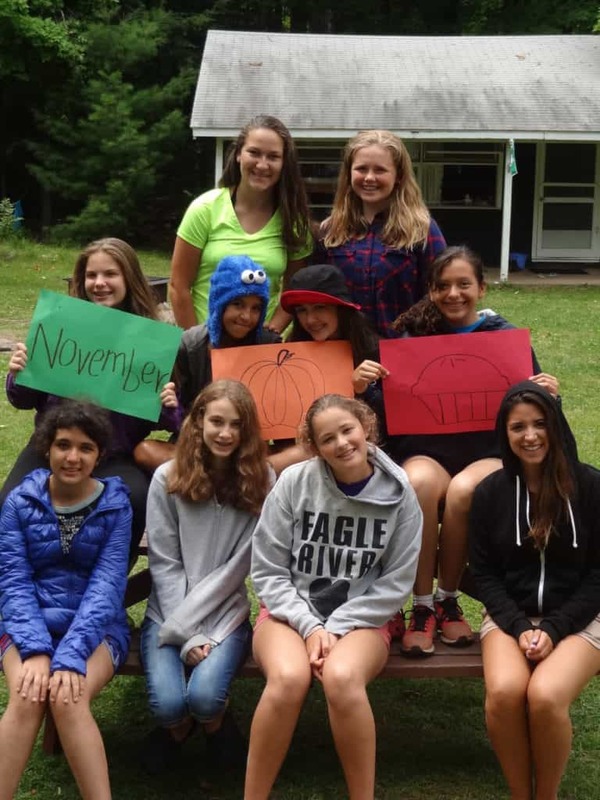 Camp Woodland | Happy Thanksgiving from Tamarack! 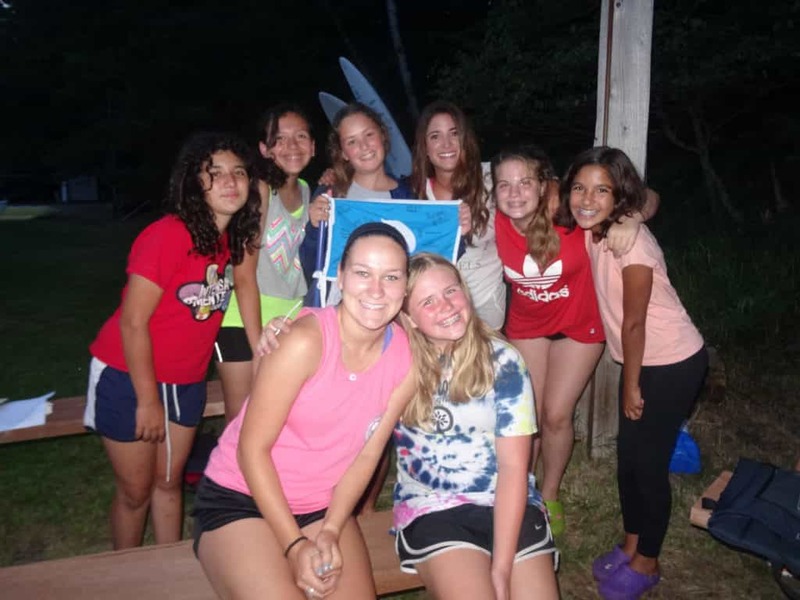 Bianca: I will never forget our canoe trip. Barbie: Gold Rush because all whole cabin worked as a team and cheered for each other. Fer: Seeing my cabin mates when I arrived at camp and making new friends. Irene: When our whole cabin went to the Aqua Tramp at TP – we had so much fun and laughed so hard! 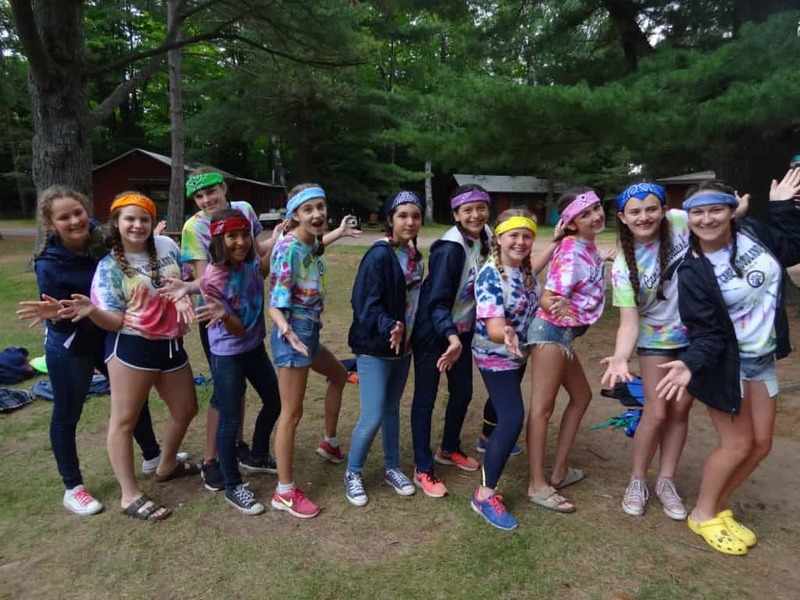 Adri: Our canoe trip because we bonded, dance parties in the cabin, and the Aqua Tramp. Isabella: Winning 2nd place in Song Contest. Anna: Riding Henry and Yeller…I have lots of unforgettable moments! Lilli: Some of my cabin mates talking in their sleep. Bianca: I went to the Ropes Course and had a lot of fun. Barbie: In Riding when we started to learn how to canter and in lap swim because at first I didn’t think that I would be able to make it to Cathy’s, but I did. Everything is possible! Fer: Going to the Ropes Course and trying new things like kneeboarding. Irene: I went to the Ropes Course and had no regrets! 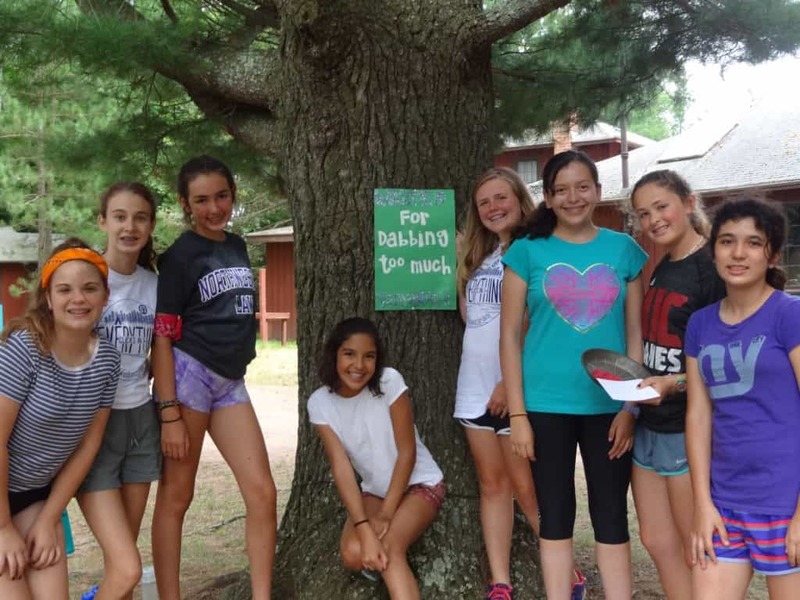 Adri: Going to the Ropes Course and trying everything there – I challenged myself to keep going! Isabella: Going on the Human Slingshot at the Ropes Course. Anna: I tried a lot of stuff I’ve never done (sailing, canoeing, Farm Zoo, etc). Lilli: I went tubing with Bianca. Bianca: Getting to the top of the “vertical playground” at the Ropes Course. Barbie: Finishing my laps and getting to go to Cathy’s for ice cream! Fer: Passing levels in archery and swimming. Irene: Passing level 5 in swimming was a big accomplishment for me! Abbey: getting a perfect bulls-eye. Adri: Dropping a ski and pushing myself to get better. Isabella: Passing out of level 4 in swimming. Anna: Learning how to trot in riding. Lilli: I learned how to sail. What is the thing you learned most about yourself? 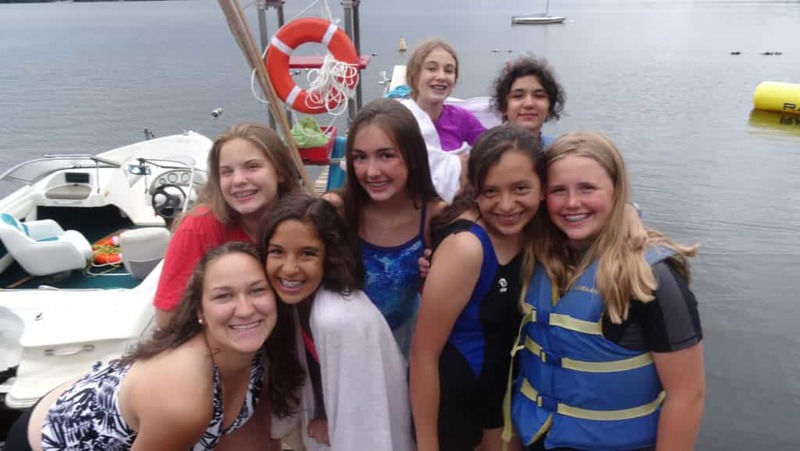 Bianca: That I am an individual and it is OK to be different from the other girls in my cabin. Barbie: That you have to believe in yourself and see the positive things every day! Fer: In a positive way, I can do anything. Irene: I have to work hard and really push myself to finish or pass something. Abbey: Winning is not quitting and losing is giving up. Adri: To look at the positive side of things and not to expect so much – just try your best. Isabella: I am willing to try new things even if I may be scared or not like it. Anna: I have to start standing up for myself more. Lilli: I learned to be more inclusive of others.